I’ve been reflecting on the word ‘hope’ and the power of it lately. It’s easy to think that hope is a weak emotion – a desperate clutching onto something we desire but are not sure will happen – it’s simply a wish. However, the definition states hope is; a feeling of expectation and desire for a certain thing to happen. Still sound a bit flimsy? Well maybe but, without that very simple notion nothing will happen in life. This entry was posted in More Than A Mum and tagged identity, life, mumpreneur, mums. Her linky is all about working with children. The only real guidelines are that you should write about how you work around your kids – be it full or part-time working from home, running your own business, blogging or whatever you do – and what works/doesn’t work for you. Maria’s idea is that as many people as possible link up with posts about how we work around our kids and once all the linking is done, we’ll have a database of advice for other Mum’s who may want to change, adapt or improve their working lifestyle. I’m a teacher. 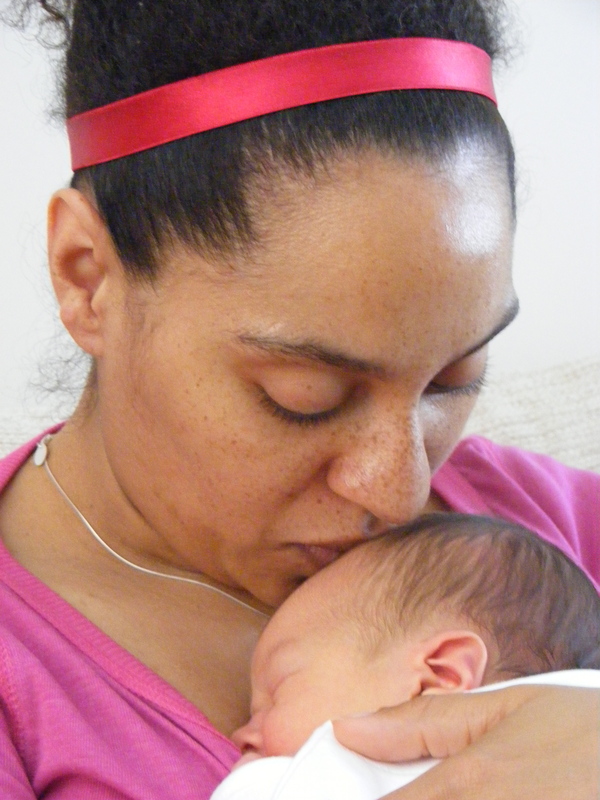 When I went on maternity leave, I was a head of department in a ‘challenging’ London school and loved it. Once I had my daughter, I knew that if I went back to work in the role I had been in, I would not be able to commit 100% either to my daughter or my job and that bothered me enough to quit. I enjoyed being a stay at home mum and as we could survive on one wage, I didn’t even think about going back to work. The way I kept my brain going during this time was to study (you may have read that in my previous post – sorry to keep repeating myself!). I studied with the OU on a part-time MEd course. I did my reading and wrote assignments in year one of my duaghter’s life, almost wholly in her nap times. Then as she got older, nap-time got shorter and I had to do more work in the evenings. At this time, however, her sleeping also got better, so I did have enough brain power to work in the evenings. With the odd weekend where my husband did ‘Daddy-daughter’ things so that I could have a larger block of time at key moments, this is how I managed my study – and I have passed, so it worked! When Munchkin was 18months, I landed a job that doesn’t really exist in teaching. Essentially I now do curriculum development and staff training for an SEN school. It just happened rather than being planned, but the Head offered me 11 hours a week from home for a short term contract, which has since been extended. The hours are flexible – some weeks I work much more and some weeks much less. My Head doesn’t mind how things are completed, as long as they are completed to deadlines. At the beginning I would do most of my hours from home and use email to keep in touch. I popped in for meetings with the Head about twice a month and she was happy for Munchkin to come too. As and when I needed more time in school, my mum would come to stay and then I’d head in for the day to blitz face-to-face things that needed to happen. Training was all after school, so I’d drop Munchkin into hubby’s classroom for the hour or so that I was working. One thing that you will notice is that a flexible and understanding boss is paramount if you work for someone. It is also important that you have the understanding of colleagues. On the whole, mine are great, but I know of other Mum’s who find office bitching and jealousy makes working flexibly in a majority full-time environment very stressful. I think you need a thick skin to work flexibly with others. The key thing that I have found is to ensure that you do your job impeccably and are utterly professional, but are also honest and up-front about what you can and can’t do in the time given. Now that Munchkin is almost 3, has given up her daytime naps (*sob*) and I have started blogging (and who knows what else we’ll develop through More than a Mum!) I have had to make a few changes. It was getting to the point where every hour was taken by being a Mum, working, blogging or studying. There was no time for me and there was no time for my OH. This was not a state of affairs I could stomach for long. I love my job and More Than a Mum, but not over my relationship and sanity, therefore I decided that at least some of my work hours had to become regular and I needed to consider childcare. Munchkin had been going to a crèche for 1.5hours every Friday while I ran a peer support group for breastfeeding mothers for about a year and loved it, so I decided that a few more hours of childcare were a) not going to harm her b) going to help me! I went to my Head and as she wanted me to do a bit more in school support anyway I proposed that I should come in one morning a week. It’s only 4.5 hours, but that means a good chunk of my hours is completed and I have a better ability to keep in touch with staff. Again you may have read my post about why I wont be sending Munchkin to pre-school, but in spite of this, I do believe that she needs to socialise with her peers without me, therefore nursery seemed a good option. Munchkin was not impressed with me leaving her at nursery for a good few weeks and I did have several second thoughts as I peeled her off me and ran for the door with the screams echoing in my ears. 4 months down the line, however and even though she only goes once a week, she asked when she could go again this Christmas holiday. Phew! 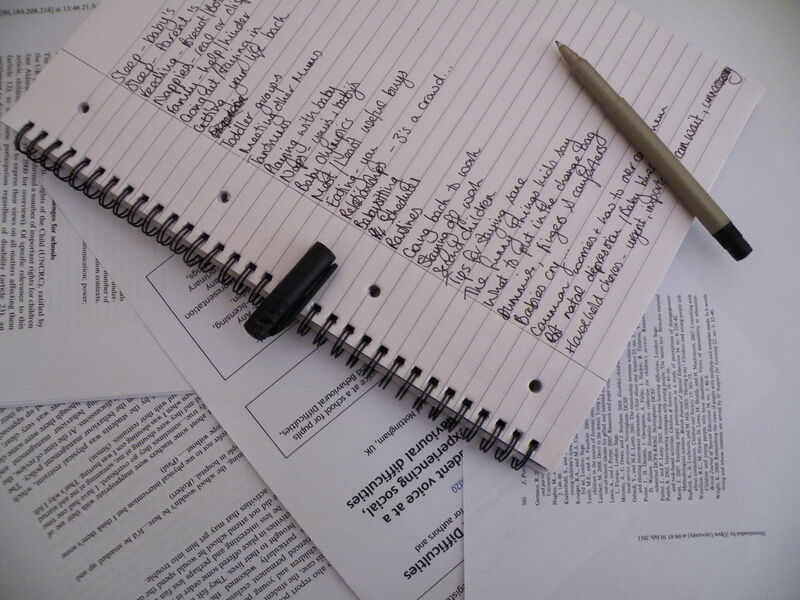 1) Be organised – I make lists, but do what works for you. I write down all the things I want to get done in the day (from work projects to washing up) and prioritise them, both for importance and time slots. Some things can be done while Munchkin plays, some can be done with Munchkin and some have to be done while she watches Cbeebies or once she’s asleep. 2) Be professional – people make value judgements about Mums, you need to prove them wrong, whatever sphere you are working in. 3) Be honest with yourself and others – my priority is my daughter. I wont neglect work, but I will much less neglect her. If a project is too big for 11 hours a week, I wont take it on or I will work out how parts can be delegated to make it manageable. 4) Be flexible – some weeks you’ll get loads done and find time in places you didn’t think there would be any, but some weeks you’ll slave away for hours and achieve very little. Don’t worry about this, it’s pretty normal. This entry was posted in Stay at home Mum, Working Mum and tagged career, life, Mummy blogging, mumpreneur, working mums. It is easy to get into a negative frame of mind with New Year’s resolutions. Looking at the ‘bad’ things you do and trying to improve them is important, but don’t dwell only on what you do that you shouldn’t and don’t do that you should. I advocate (and have a few of my own) resolutions which fit with the ‘giving up …’ ‘trying to stop…’ ‘making more time for…’ ‘Getting round to…’ themes, but I also think that we should all have at least one resolution which is based purely on a positive and gives you some of that all important “Me Time”. That is why this year I am going to learn pottery. I am a learn-a-holic. I’m a teacher by trade and last year I completed my Masters in Education. This completion has left me somewhat bereft. Doing my MEd kept me sane at many points during the last few years (No honestly, it did!) and the flexible study of the OU was perfect to fit around family life. I love education and enjoy learning for its own sake, but this year it is OH’s turn to start studying, so there is no way that there will be enough time for two of us in the family to be working on academic stuff and frankly I should take a break from essays and all that jazz. But, I couldn’t take a break from learning, hence the pottery. I really think that learning something new is a great gift to yourself. It challenges your views of yourself. It gives you a goal and who knows, it could open new avenues for you. Watch this space for my online pottery catalogue! You could learn a language, take an eyebrow threading course, try burlesque dancing or learn to sew. It doesn’t matter what it is; how big or how small; it doesn’t matter if it is academic, practical or even pointless, learning something is all about focusing on you for a bit. As a Mum it is also great to share learning experiences with your kids. You will be better placed to understand their trials and tribulations in school: they may be struggling to understand algebra and you trying to get to grips with ice-skating, but you’ll remember what it feels like to be learning. You’ll be able to talk to them about strategies you use to help you learn. You can discuss ways of overcoming difficulties and sympathise about how teachers and/or other students can really get on your nerves! The things you could learn are endless, the places you could learn them diverse and the costs varied. For first inspiration you could try googling your postcode and the word courses, classes or learning. I tried and found a photography course, a reki and natural healing course and Spanish lessons in less than a minute. Libraries and local council websites can also be a good place to start looking for ideas, as can local pubs and clubs (my local has Salsa classes in its function room on a Wednesday evening) or shop and community hall noticeboards. My OU masters cost a fair bit (though some was paid for by employers as it was relevant to my job – always worth asking your boss; the worst they can say is no.) The pottery is run by the Arts Centre at a local University, and costs just over £90 for the term, including materials. Our local Children’s Centre runs various free courses from drawing classes to job interview skills, from yoga to bhangra. Many universities run free taster courses in both academic and professional development courses. If you don’t fancy or can’t afford taught courses there are so many things you can learn for free online. Just google “learn to knit online” if you need an example. Why not make this year the year that you learn something new? It might be something you’ve always dreamed of, or something you spotted on a whim on a flyer, but go on, make a resolution to spend some time on you this year: learn something new. Don’t forget, More Than A Mum Blog is also available for Kindle. Click here for more information or click here to download it now. This entry was posted in Me Time, More Than A Mum and tagged Advice, balancing parenthood, dreams, Education, identity, life, Me Time. New Year’s resolutions for children? 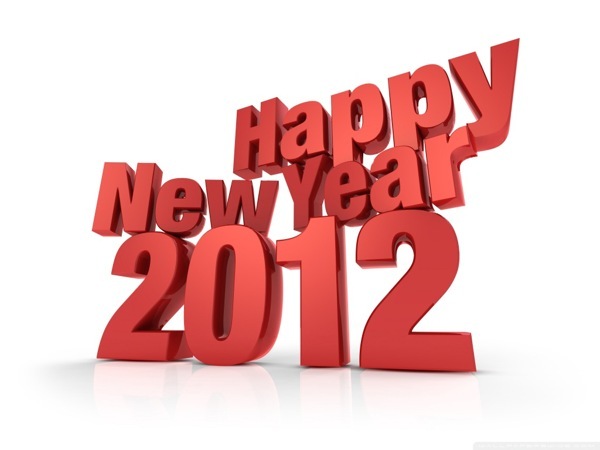 The New Year means new beginnings for many and an opportunity to start again, set some goals and make some changes. These very often take the form of New Year’s resolutions for adults. But what about children? Is it a good idea or even healthy for children to have a set of New Year’s resolutions? I must admit, personally I change my mind from year to year with regards to resolutions. In some ways I think they can set you up for inevitable failure, in other ways I think it is good to have something to aim for. I guess as long as you don’t beat yourself up about it if you don’t reach your goals than they can be helpful guidelines. The key, according to Flowers, is to come up with manageable accomplishments that are personally meaningful to your child. These accomplishments will vary greatly with age. After reading the article I felt that if nothing else it would give me a chance to approach and tackle some of the ‘difficult’ behaviour my son has made a habit of over the last year and I can set some goals that I know he’ll relish keeping me accountable to. It could actually be fun! What do you think? This entry was posted in Advice, family fun and tagged Advice, balancing parenthood, challenge, family fun, ideas, life, Parenting, Toddler. Firstly I would like to apologise to Not Just a Mummy for our tardiness in addressing this very worthwhile post. The idea of this post is to list the things that you’d like for Christmas, that money can’t buy and it’s a tough one to do without sounding trite or hackneyed, but here is my attempt. 1) Smiles. The thing that I am most looking forward to this year is the smile on munchkin’s face on Christmas morning when she finds the full stocking in her bed. She is 2.5 and this is the first year that she has really been excited and had a full understanding of Christmas and her face lights up with a huge grin whenever we talk about it. 2)Family and friends. I am very lucky to have a wonderful network of family and friends around me. It is they who keep me sane, who boost me when I’m down, help me to achieve and support my hopes and dreams. These people don’t just make Christmas, they make everything. I am really looking forward to being surrounded by my nearest and dearest over the Christmas period. 4)Time. This is something there is never enough of. Whether it’s time to get all those little tasks done, time to play with munchkin, time to be with darling husband, time to get my work done, time to write a blog post, time just for me…time, time, time. Hubby asked me what I wanted for my birthday earlier this year and in an exasperated moment I old him “TIME!” He’s a genius and gave me a spa voucher, saying “here’s a little time, just for you.” 🙂 There’s never enough time, but we all need to try to make time for the important things. This Christmas I intend to ensure that I take time just to watch things going on, rather than spending the whole time buzzing around. So those are my three things I’d like for Christmas that money can’t buy and I’m tagging the following people to give it a go as well. This entry was posted in About us and tagged Christmas, life.